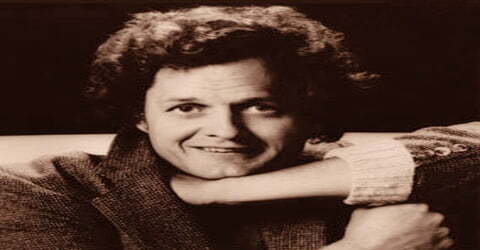 Harry Chapin – American singer-songwriter, humanitarian, and producer. 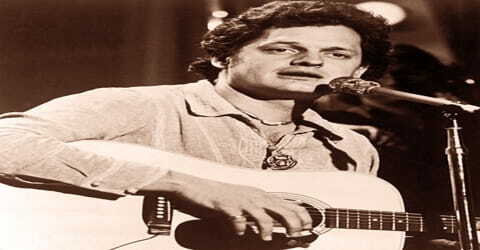 Harry Chapin, American singer-guitarist who became as well known for his humanitarian efforts particularly his antihunger crusade as for his music, was born on December 7, 1942, in New York City, the second of four children, who also included future musicians Tom and Steve. Chapin is also one of the best charting musical artists in the United States. Chapin, a Grammy Award-winning artist and Grammy Hall of Fame inductee, has sold over 16 million records worldwide and has been described as one of the most beloved performers in music history. A highly talented and popular singer, he gained much fame for his self-described ”story song”, a narrative form that borrowed heavily from older talking blues primarily dealing with themes related to lost opportunities, cruel ironies, and life’s hypocrisies. Born as one of the sons of Jim Chapin, a legendary percussionist, Harry was exposed to music at an early age. He played the trumpet as a child and soon switched over to the guitar. He performed with his brothers as a teenager and also played music occasionally with his father who had divorced his mother when Harry was young. He graduated from the Brooklyn Technical High School and studied at Cornell University before embarking on a career as a documentary filmmaker. He soon switched gear and ventured into a musical career and found success with his debut album ’Heads & Tales’. He soon gained a reputation as a classy folk-rock singer and also became known for his work on Broadway productions. Along with being a singer par excellence, he was also a committed humanitarian who fought to end world hunger. The life of this amazing human being was cut short by a fatal accident which claimed him at the age of 38. Chapin was never a critically acclaimed singer/songwriter. Critics accused him of over-sentimentalizing his subjects and attaching heavy-handed morals to his socially aware story-songs; the heavily orchestrated arrangements that accompanied many of his songs didn’t help his case with the critics, either. Nevertheless, Chapin earned a devoted audience during the ’70s, through his music and his charity work as a social activist. Chapin recorded a total of 11 albums from 1972 until his death in 1981. All 14 singles that he released became hit singles on at least one national music chart. As a dedicated humanitarian, Chapin fought to end world hunger; he was a key participant in the creation of the Presidential Commission on World Hunger in 1977. Chapin is credited with being the most politically and socially active American performer of the 1970s. In 1987, Chapin was posthumously awarded the Congressional Gold Medal for his humanitarian work. 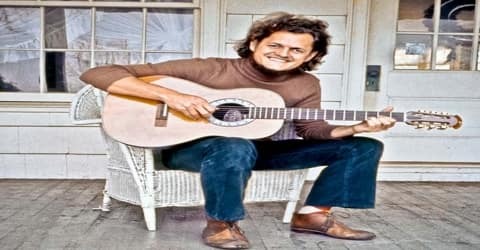 Harry Chapin, in full Harry Foster Chapin, was born on December 7, 1942, in Brooklyn, New York City, United States, to Jeanne Elspeth (née Burke) and Jim Chapin, a well-known percussionist. His father had worked with the bandleaders Tommy Dorsey and Woody Herman. Chapin had English ancestry. The earliest Chapin to come to America was Samuel Chapin, who was the first deacon of Springfield, Massachusetts in 1636. His other great-grandparents on his mother’s side had immigrated in the late 19th century. His parents divorced in 1950, with his mother retaining custody of their four sons, as Jim spent much of his time on the road as a drummer for Big Band-era acts such as Woody Herman. Chapin’s mother married Films in Review magazine editor Henry Hart a few years later. His maternal grandfather was literary critic Kenneth Burke. Chapin had three siblings and his brothers Tom and Steve also became musicians in the future. As a child, he started playing the trumpet before taking up the guitar. He trained at the famed Greenwich House Music School on Barrow Street in Greenwich Village and began singing in the Brooklyn Boys Choir. He also performed with his brothers as a teenager and their father also joined them occasionally on the drums. He graduated from Brooklyn Technical High School in 1960 and briefly attended the United States Air Force Academy. He also studied at Cornell University for a while but did not complete a degree. Chapin originally intended to be a documentary film-maker and directed Legendary Champions in 1968, which was nominated for a documentary Academy Award. In 1971, he began focusing on music. With John Wallace, Tim Scott, and Ron Palmer, Chapin started playing in various nightclubs in New York City. Harry Chapin met Sandy Cashmore (née Gaston), a New York socialite nine years his senior, in 1966, after she called him asking for music lessons. The couple soon fell in love and tied the knot. They married two years later. Upon his marriage, he became the stepfather to Sandy’s three children from a previous marriage (Jaime, Jason, and Jonathan) and the couple went on to have two children of their own, Jennifer and Joshua. The story of their meeting and romance is told in his song, “I Wanna Learn a Love Song”. Chapin wrote several additional songs about her, including “Shooting Star” about their relationship, and “Sandy”. 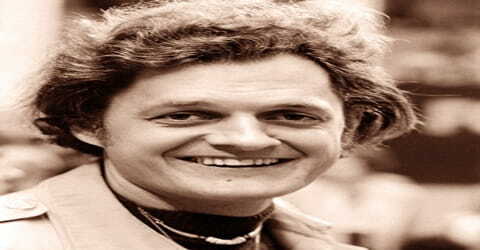 During college, Harry Chapin decided to pursue a career as a documentary filmmaker; in 1968, he directed the Oscar-nominated Legendary Champions. In 1971, he switched his career, concentrating on music. Chapin recruited a backing band through an ad in the Village Voice; the respondents included bassist John Wallace, guitarist Ron Palmer, and cellist Tim Scott. The group began performing in various clubs around New York and the singer/songwriter was soon signed to Elektra Records. Success came quickly; his first album, Heads, and Tales (1972), stayed in the Top 100 for more than six months, buoyed by the success of the hit single “Taxi.” Two other albums, Short Stories (1973) and Verities and Balderdash (1974), also produced hits “W.O.L.D.” and the chart-topping “Cat’s in the Cradle,” respectively. Critics, however, charged that his narrative lyrics, as well as his grainy vocals and folkish arrangements, were masks for the sentimentality of musical theatre, a judgment some would say was borne out when Chapin produced a Broadway revue called The Night That Made America Famous (1975). Chapin released his debut album ‘Heads & Tales’ in 1972. The album was an international success, selling over 1 million units. Its success was due to the top 25 Billboard Hot 100 hit single, “Taxi”. The song also became a top 5 hit in Canada. The success of the song in America is credited to American radio personality Jim Connors, who helped promote the song on the radio despite its length, and helped it to stay on the charts for 16 weeks. It became the number one requested song for 10 weeks in a row. The song was performed on The Tonight Show Starring Johnny Carson, which received so many calls that Chapin returned the next night. It was the first time in the show’s history that a performer had been called back the next night. It was also one of the first performances on The Midnight Special, with John Denver hosting. It was a moderate success and spawned the hit single ‘Taxi’. Chapin followed it up with another album, ‘Sniper and Other Love Songs’ in quick succession the same year. The album’s title song, “Sniper”, is a semi-fictional account of the University of Texas tower shooting. The single release from the album, “Sunday Morning Sunshine”, charted on the Billboard Hot 100 and became a top 40 on Billboard Adult Contemporary. The album was less successful than the last, selling 350,000 units. The album also contained the Chapin anthem, “Circle”. In 2004, the double album Sniper and Other Love Songs and Heads & Tales was released. It contained previously unreleased tracks from both albums. His folk-rock songs gained a huge fan following and his fans eagerly awaited his next release. Over the ensuing years, he released ‘Short Stories’ (1973), ‘Verities & Balderdash’ (1974), ‘Portrait Gallery’ (1975), and ‘Greatest Stories Live’ (1976). His 1974 single ‘Cat’s in the Cradle’ was a big hit. In 1973, Chapin released his third album, Short Stories. The album produced another international hit, “WOLD”. Short stories sold over 1 million units. The song is about an aging disc jockey who has given up his entire life and family for his career. The song is sung from the point of view of the disc jockey to his ex-wife. It was inspired by American radio personality Jim Connors. Chapin wrote the song when he listened to Connors calling his ex-wife in the WMEX studio. The song became a top 40 hit on the Billboard Hot 100, a top 10 in Canada, and top 10 and 20 in various other countries. Other notable songs from the album, but not released as singles, are “Mr. Tanner”, “Mail Order Annie”, and “They Call Her Easy”. After recording his fourth album, Verities and Balderdash, Chapin disbanded his backing band and began work on his musical The Night That Made America Famous; both Wallace and cellist Michael Masters worked on the show, along with guitarist Doug Walker, drummer Howie Fields, and Chapin’s brothers Tom, Steve, and Jim. While he was working on the musical, Verities and Balderdash became his biggest hit, peaking at number four on the U.S. charts and becoming a gold record. The album’s success was benefited by the number-one single “Cat’s in the Cradle,” a song about an inconsiderate, career-oriented father that was based on a poem written by Chapin’s wife. During the 1970s Chapin also began working on Broadway productions. He wrote and performed the musical ‘The Night That Made America Famous’ (1975) and also wrote music and lyrics for the musical ‘Cotton Patch Gospel’ that was released after his death. In the mid-1970s, Chapin focused on social activism, including raising money to combat hunger in the United States. His daughter Jen said: “He saw hunger and poverty as an insult to America.” He co-founded the organization World Hunger Year with radio personality Bill Ayres, before returning to music with On the Road to Kingdom Come. He also released a book of poetry, Looking … Seeing, in 1975. More than half of Chapin’s concerts were benefit performances (for example, a concert to help save the Landmark Theatre in Syracuse, New York, as well as hunger causes such as food banks), and proceeds from his concert merchandise were used to support World Hunger Year. Chapin’s social causes at times caused friction among his band members. Chapin donated an estimated third of his paid concerts to charitable causes, often performing alone with his guitar to reduce costs. Mike Rendine accompanied him on bass throughout 1979. 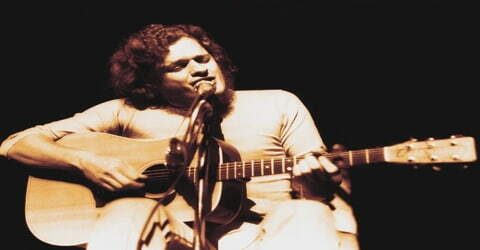 In 1975, Chapin released his fifth album, Portrait Gallery. The album produced a top 40 Billboard Adult Contemporary hit, “Dreams Go By”. However, the album was less successful than the last. It sold 350,000 units. In addition, he wrote and performed a Broadway play, The Night That Made America Famous. The play earned two Tony Award nominations and two Drama Desk Award nominations. Chapin was becoming more politically active throughout 1976, as evidenced by his role as a delegate at that summer’s Democratic Convention. Late in 1976, he released On the Road to Kingdom Come, which spent a mere six weeks on the charts. The 1977 double-album Dance Band on the Titanic was on the charts for a few more weeks, yet it didn’t spawn a hit single. The following year, Chapin met with President Jimmy Carter, discussing the need for a Presidential Commission on Hunger; he also released Living Room Suite that summer, which peaked at number 133. In 1978, Chapin released the album ‘Living Room Suite’ which had the songs ‘It Seems You Only Love Me When It Rains’, ‘Why Do Little Girls’, ‘Flowers Are Red’, and ‘Somebody Said’. In 1980, his recording contract with Elektra expired. He signed a one-album contract with Boardwalk Records and released his ninth studio album, Sequel. The album has been described as his fastest-breaking album. Three singles were released, with all of them becoming hits. His album ‘Sequel’ released in 1981 was the last complete album released during Harry’s lifetime. The title song ‘Sequel’ reports further events in the lives of Harry and Sue, the characters in his 1972 hit song ‘Taxi’. 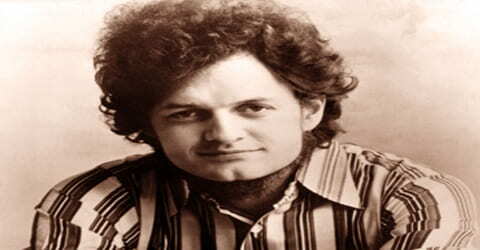 Harry Chapin was posthumously awarded the Congressional Gold Medal for his campaigning on social issues in December 1987. Chapin was driving in the left lane on the Long Island Expressway at about 65 mph (105 km/h) on the way to perform at a free concert scheduled for later that evening at Eisenhower Park in East Meadow, New York. Near exit 40 in Jericho, he put on his emergency flashers, presumably because of either a mechanical or medical problem. He then slowed to about 15 miles (24 km) per hour and veered into the center lane, nearly colliding with another car. He swerved left, then to the right again, ending up directly in the path of a tractor-trailer truck. The truck could not brake in time and rammed the rear of Chapin’s blue 1975 Volkswagen Rabbit, rupturing the fuel tank as it climbed up and over the back of the car, which burst into flames. Dr. Minoru Araki, Nassau County’s deputy chief medical examiner, said Chapin’s aorta was lacerated by the tremendous impact and he died of massive hemorrhaging into his chest cavity. Araki said a report that Chapin may have suffered a heart attack at the wheel was erroneous. “He suffered a cardiac arrest as the result of his severe injuries, but the autopsy showed that his heart was in very good condition,” Araki said. In a 2004 interview, many years after his death, Chapin’s daughter Jennifer said, “My dad didn’t really sleep, and he ate badly and had a totally insane schedule.”Although Chapin was driving without a license his driver’s license having previously been revoked for a long string of traffic violations his widow Sandy won a $12 million decision in a negligence lawsuit against Supermarkets General, the owners of the truck, based on what Chapin would have earned over the next 20 years. An earlier phase of the trial had found Chapin 40% negligent in the accident and Supermarkets General 60% negligent, so the award of $12 million for the financial loss to the family was automatically reduced to $7.2 million. The song ‘Taxi’ was his first major hit. Considered to be his career-defining work, the song helped establish Chapin’s musical style and fame. The song tells the story of Harry, a cab driver, who picks up a lady passenger on a rainy night and recognizes her to be a former lover. His folk-rock song ‘Cat’s in the Cradle’ topped the Billboard Hot 100 in December 1974. It became the best known of his works and a staple for folk rock music. The song was nominated for the 1975 Grammy Award for Best Male Pop Vocal Performance. 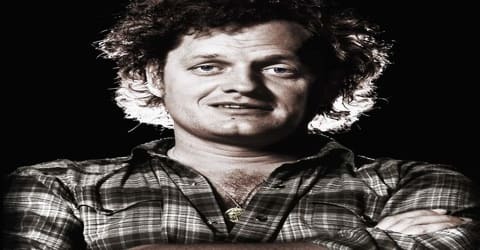 Chapin had co-operated before his death with the writer of the biography entitled Taxi: The Harry Chapin Story, by Peter M. Coan, released posthumously, from which the family withdrew their support. Some concern existed about the accuracy of the details included in the book. In 2001, Chapin’s “Cat’s in the Cradle” was ranked number 186 of 365 on the Recording Industry Association of America list of Songs of the Century. Chapin was inducted into the Long Island Music Hall of Fame on October 15, 2006. 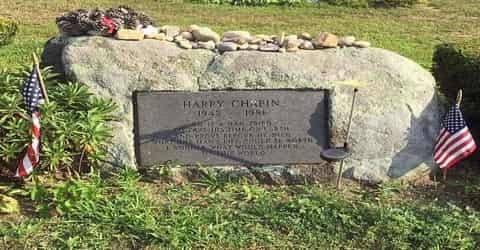 The Lakeside Theatre at Eisenhower Park in East Meadow, New York, was renamed “Harry Chapin Lakeside Theatre” during a memorial concert held one month after his death.